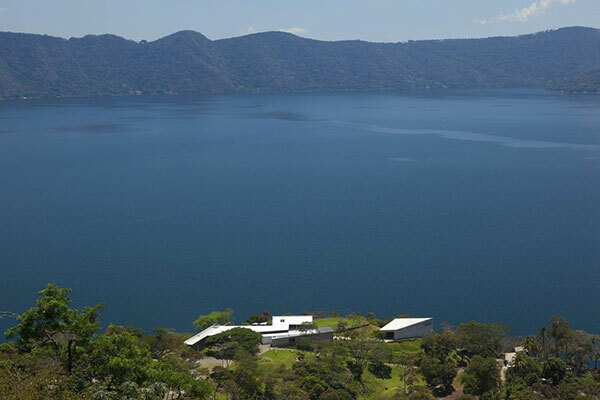 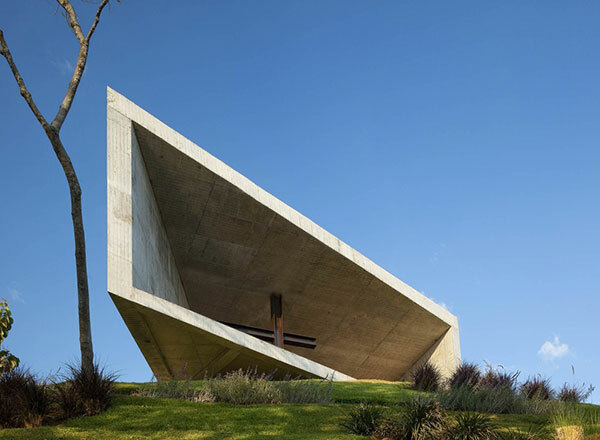 An asymmetric concrete chapel located in the mountains surrounding Lake Coatepeque in El Salvador. 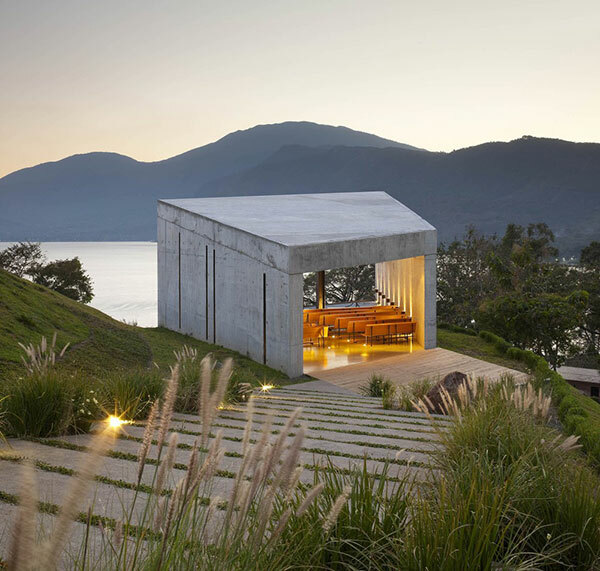 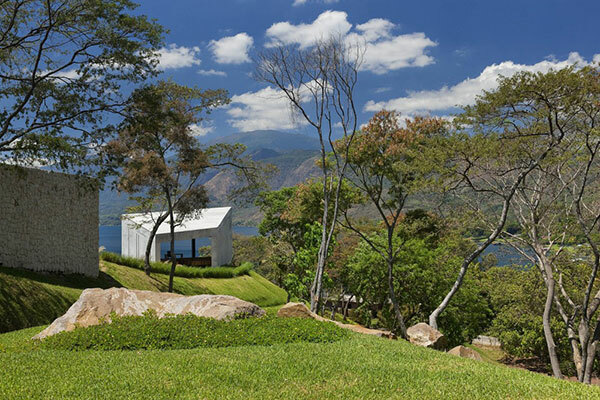 The design by local studio EMC Arquitectura takes advantage of the spectacular scenery with its two open sides and also allows for cross-ventilation to help visitors cope with the tropical climate. 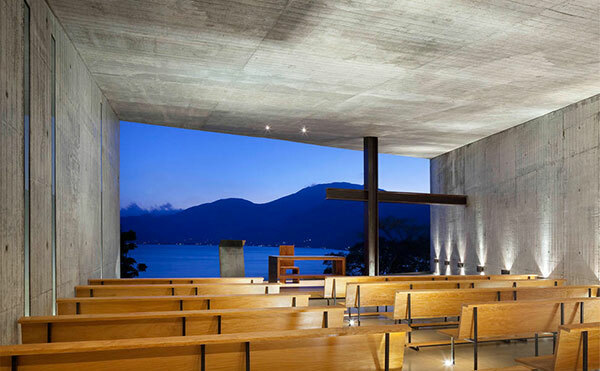 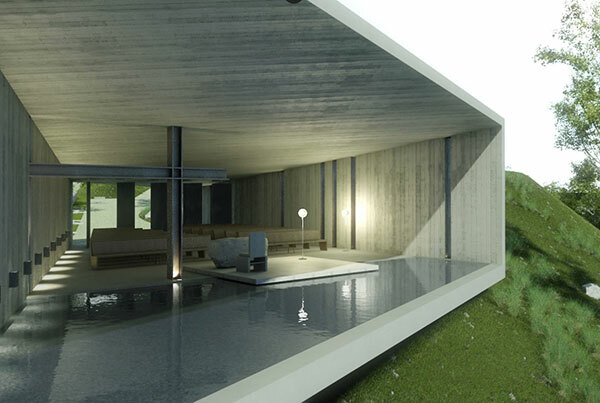 An interesting feature is the use of two intersecting I-beams in the interior with one beam cut short to form a cross, which sits off-centre. 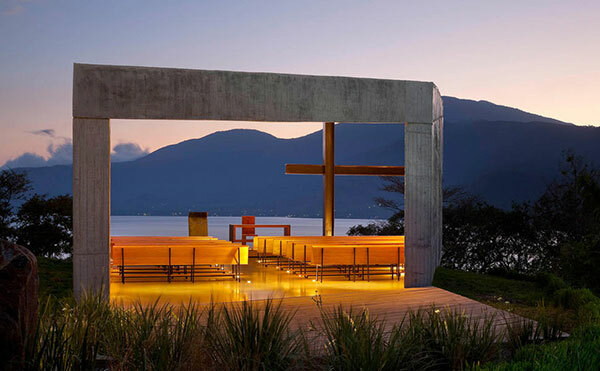 The rows of wooden pews facing one of the open sides allows for a panoramic view of the landscape.